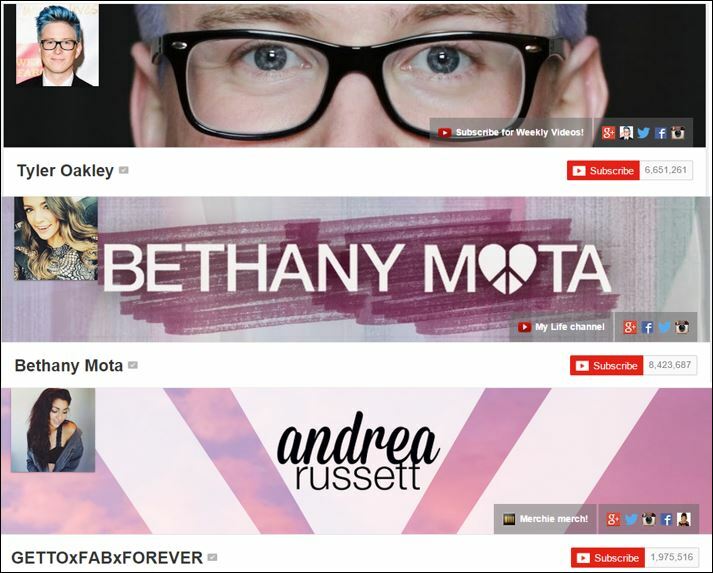 I recently had the opportunity to meet three of YouTube’s biggest stars — Tyler Oakley, Bethany Mota, and Andrea Russett. Although barely out of their teens, this trio has millions of followers, contracts with mega brands, and huge amounts of money pouring in. 1. Above all, be congruent. Mota: “I have a deal with Aeropostale, both as a spokesperson and I am designing my own line of clothes … but they don’t make me wear their clothes all of the time. They know I wouldn’t normally do that. And if I did, my fans would be mad because they know that is not what I would do. That is not authentic. Oakley: “I have had good experiences with brands and I have had very, very bad experiences with brands. When brands start telling me what to do and what to say, I have to wonder, do they believe in me and my content, or do they really want to just use me for my numbers?